Remember the “Pig-Pen” character in the Peanuts comic strips? The sweet little boy who was always very dirty? While we’ve promised Doe #48 that her name will be much more dignified than that, we have to admit the resemblance is a bit uncanny. Doe #48’s tags are always, irrevocably, dirty. Day and night, fair weather and foul, she gives the appearance of someone who has just enjoyed a refreshing mud bath. To each their own, #48, to each their own. 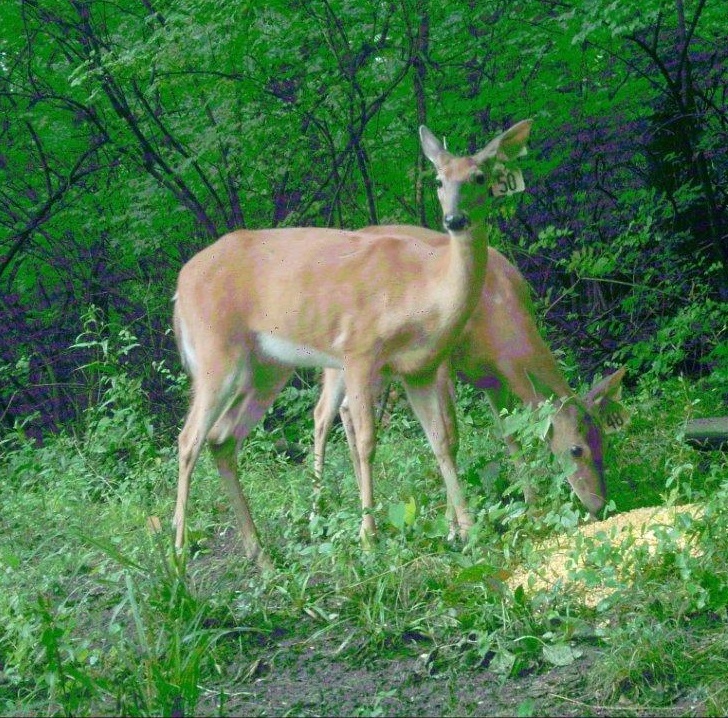 Doe #48, aged ~8 as of this posting (August 2018), was spayed in our January 2017 field operations together with her daughter, Doe #50 (now ~2 yrs old). This inseparable mother-daughter duo, together with Doe #50’s twin sister, Doe #58, live in Edgewood Grove and the surrounding yards. 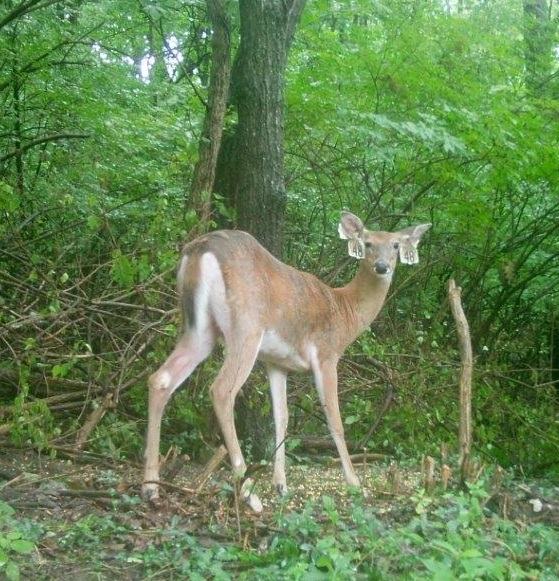 If you are interested in naming or sponsoring Doe #48, she’d love to hear from you!